Also, the new app platform on the Xbox 360 update does not support the live video party mode. All around, Netflix is by far the most disappointing thing in the new Xbox update. 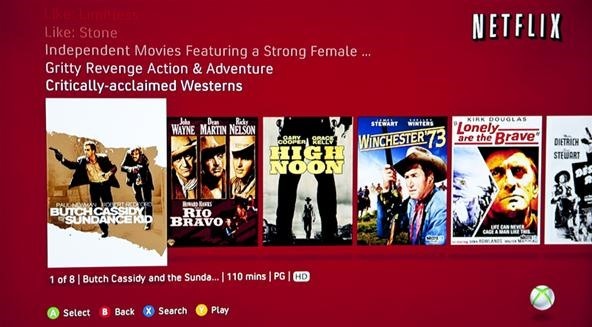 Luckily, there is a way to get the old Netflix look back. 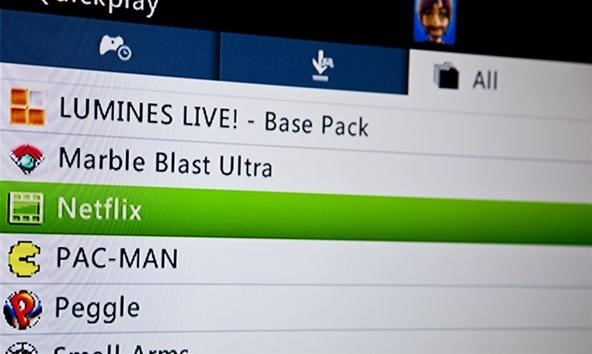 And if you think you might want to go back to the redesign one day, that's okay, because the fix below allows you to use both the new and old look on your Xbox 360. After performing the steps below, it's just a matter of choosing which Netflix app you want to use in the future. This method does NOT work anymore. Well, it might work for those who haven't done it yet, but it stopped working for me. Microsoft patched it and deleted my old app completely, so if it does work for you, it probably won't last long. If you know of any other way of getting the old app back, let us know in the comments below. Seeing as you're looking at this article, you probably already did this step. When you turned on your Xbox 360 yesterday, you probably updated to the new dashboard right away, as I did. Then, if you wanted to check out Netflix, you went to the Apps tab and clicked on Netflix, which started the download for the new version without warning. I didn't have to, but some people may have had to enter their email addresses and passwords from their Netflix account in order to start the app. Once in, you hated the new look and horrible functionality, otherwise you wouldn't be here. The good thing? The old Netflix app is not gone! Click on the silver home button on your Xbox 360 controller to access the Xbox Guide. Then, scroll left to the Games tab and hit Quickplay. 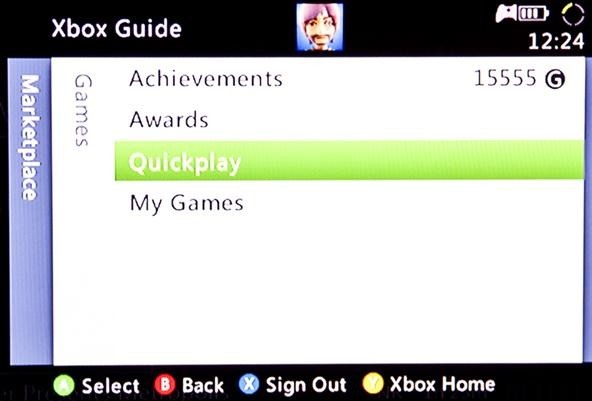 Note that accessing Quickplay from the Xbox dashboard will NOT work. It has to be from the Xbox Guide. Once you enter the Quickplay options, you'll more than likely see the new Netflix app as a recent download in the Recent tab, as seen below. This is the NEW app, not the old one. Open the old Netflix app. If you're in the new Netflix app (or anything besides the dashboard), you will be prompted to "end your current session". Do so by choosing "Yes". The old Netflix version will begin to load. After it loads, you'll be automatically prompted with an Netflix error saying, "You need to register your console with Netflix." After selecting "OK" you will be prompted with a longer error message stating, "Netflix has been deactivated on this device...". If you press "Try Again" you'll see the activation code in the background, but you will not be able to access it. You can keep trying to see it, but it's pointless. That's because you need to deactivate the device online through your Netflix.com account. On your computer, go to Netflix.com and log in. Once logged in, go to "Your Account & Help" in the upper right-hand corner. Then, scroll down to the Watching Instantly section and click on "Manage Netflix ready devices and computers". Next, click on "Disconnect Devices". A popup safeguard prompt will ask you if you're sure. Press "Disconnect". Success! 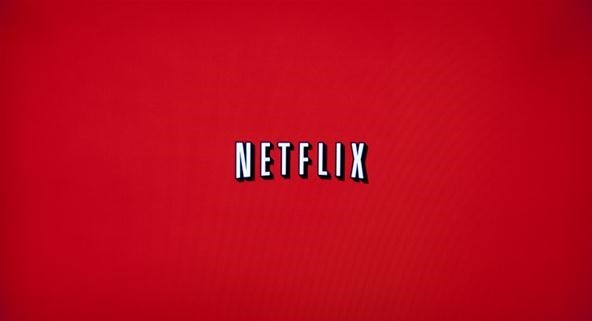 Now, on your Netflix account, click the "Activate" button this time. After doing this, the warning on your Xbox 360 should disappear and you should see the activation code on the screen. If the error screen is still on the display, just select "Try Again" and you should see the code. 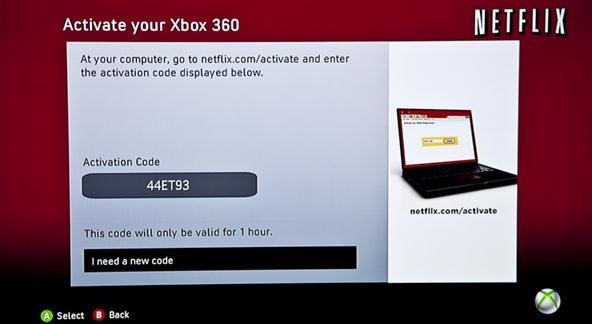 Enter the code in your Netflix account and click the "Activate" button. 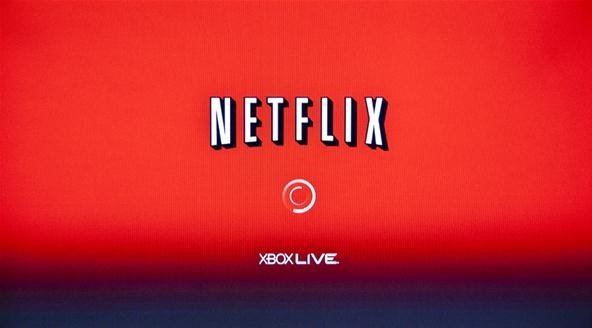 Now, Netlix on the Xbox 360 will begin to load. If you're now looking at the old Netflix, success! Now, this Netflix didn't replace the new one. You can still switch to the new one, and you can freely switch back and forth between the new and old looks without having to do any of the steps above again. Whenever you want to check out the new Netflix interface, just go to Apps from the Xbox dashboard and click on Netflix. You can also use Quickplay from the dashboard. 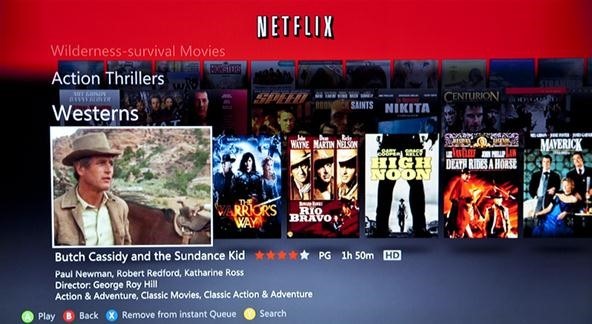 But the only way to visit the old Netflix version is by going to the Xbox Guide, Games, Quickplay, the All tab, and clicking on the "filmstrip" version. Thank you so much!!! I can't stand the new version!!!! No problem. I couldn't either! Maybe if it actually worked. i dont see the old netflix just has the new one ahhh !!! Hmm. My new and old ones weren't grouped together. They were separated, with the new Netflix in "Recent" and the old one in "All". Maybe you just have to dig deeper. Or maybe yours got inadvertently deleted. If that's the case, I hear around the Web that you might be able to re-install it by having someone with the old interface invite you to a Netflix party. When (and if) you get the message and accept the invite, you'll get an error message and be prompted to download the old version. But this is just speculation. I have not seen or heard of anyone who claims they actually did this. I have a second xbox with a messed up disc drive that I could test this with, but I was unable to connect to live on my main until I accepted the update, so it is highly unlikely that is possible. Yeah, it's a long shot. I had recently backed up my 360 HDD, so I ended up dragging the app directy back onto it xD. That works too, if anyone is wondering. Cool trick! I'll make sure to tell my friends who dislike the new Netflix. Thanks for sharing. Copying from a backup is definitely an easy way to get it back (if erased). Makes me think I should be backing up my drive more often. 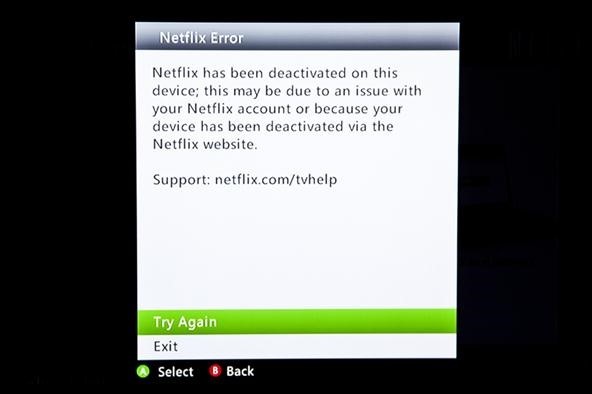 No longer works, Either Microsoft or Netflix had the old version corrupted. I've tried re-downloading the old version with zero success. Yeah... it doesn't work anymore for me either. I bet it was Microsoft. Netflix customer service sounded like they didn't care which one we used, as long as we were using one, but now that I look in the Xbox forums, all content related to this issue has been deleted, so I'm guessing it was Microsoft's dirty work. Well I hope the small effort they went through to get rid of the old version along with the complaints will trigger something in their heads. "Hey maybe our streamline idea, isn't so streamline. Also maybe party mode was more popular then we think?" Seriously. Netflix has been totally jacked up these last two years. They need to get their act together. FYI, when deactivating via the website, be prepared to wait up to 8 hours for the Xbox to fully deactivate. ...Luckily I really wanted party mode back so we're working on building it ourselves! Check it out at BringBackPartyMode.com!